Because you always receive the tax benefits of contributing to a DAF in the year that the gift is made, this makes a DAF a viable recipient for directing charitable donations as part of your annual tax strategy. At the same time, the distributions from your DAF to other charitable organizations can be made over time, in some cases years after the initial gift is made to the DAF. It is this space between the original gift and the final distribution that allows for the separation of tax and charitable planning. Let’s take a look at three different scenarios to see how this might work in the real world. Scenario 1: Mary needs to make a charitable tax deduction this year, but hasn't decided on a designated charity. In this scenario, our client Mary, is reviewing her current tax situation with her accountant who has determined that she should make a $25,000 gift to charity in order to offset some of her income for the current year. While Mary would like to make this charitable donation, she doesn’t currently have a relationship with any charities and, as a result, is uncertain where to donate the gift. By donating to a DAF before the end of the year, Mary receives a current year tax deduction, then can take time to research charities of interest to her while her original gift continues to grow. Over time, she can advise on how to distribute the funds within her DAF as she determines charities that are of interest to her. Scenario 2: Mary needs a large charitable deduction this year, but doesn't feel comfortable donating a large dollar amount to a single charity all at once. Mary typically gives to a few small, local charities and has concerns about their ability to handle a large donation as well as the perception should she suddenly write them a large check. In this scenario, let’s assume that Mary received a windfall income this year and, as a result, her accountant recommended a sizeable charitable donation of $250,000 be made in order to offset some of that income. Again, Mary can donate to her DAF this year. Then over a series of years, she can advise multiple smaller gifts be made to the charities of her choice. Her privacy is maintained regarding the windfall event, and the charities can continue to operate normally without any potential disruption. Scenario 3: Mary would like to accumulate her annual charitable gifts over a period of multiple years in order to make a single, larger gift. DAFs can also be used to accumulate many years of smaller charitable contributions in order to make a single, large donation. In this scenario, Mary would like to make a sizeable donation to her alma mater, perhaps with the intent of receiving larger recognition than she otherwise would receive for a smaller, annual gift. In this instance, Mary can make her regular annual charitable contributions to her DAF and let them grow within the account; then after several years, when the balance is large enough, Mary can advise that it be directed toward her alma mater. With this larger, single gift, Mary can have more impact than she otherwise might have with a series of smaller, annual contributions. 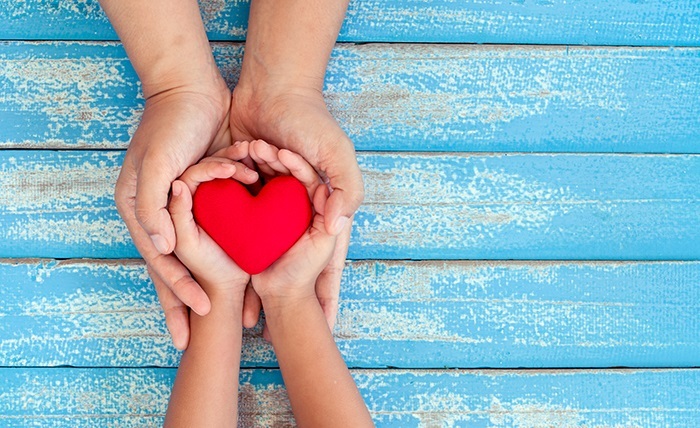 A great benefit of incorporating a DAF into your annual tax and charitable planning is that it effectively allows you to separate the tax decisions that need to be made this year from the process of identifying and directing gifts toward charitable beneficiaries. In doing so, you can focus on optimizing your tax strategy in the current year, then over time, optimize your charitable giving strategy in a way that makes the most sense for you and the final recipients. The information provided is general and educational in nature. It is not intended to be, and should not be construed as, legal or tax advice. The concepts illustrated here have legal, accounting and tax implications. Neither Janney Montgomery Scott LLC nor its Financial Advisors give tax, legal, or accounting advice. Please consult with the appropriate professional for advice concerning your particular circumstances. The examples provided are all hypothetical and do not take into account any specific situations. The hypothetical examples are provided to help illustrate the concepts discussed throughout and do not consider the effect of fees, expenses, or other costs that will effect investing outcomes. Any actual performance results will differ from the hypothetical situations illustrated here. Please consult a professional to help you evaluate your situation before implementing any of the strategies discussed here. Schamis is Head of Wealth Planning for Janney Montgomery Scott, a regional brokerage firm based out of Philadelphia, PA with more than 800 Financial Advisors located across 110 offices. In his current role, Martin is responsible for developing and leading the strategic direction of financial planning and trust services for the firm’s retail client base. This has included the successful launch of a new financial planning technology platform designed to keep people at the center of the financial planning process. Prior to joining Janney, Martin was with The Vanguard Group where he served in a variety of roles primarily focused on financial planning initiatives. This included redesigning Vanguard’s comprehensive financial planning offering, developing a solution connecting clients with Vanguard’s CFP® Professionals for situational advice, and improving the efficiency of their retail operations center. Prior to Vanguard, Martin worked as an advisor for Morgan Stanley. Martin is a member of the CFP Board of Directors, is a CERTIFIED FINANCIAL PLANNER™ professional, and holds FINRA Series 7, 66, and 24 licenses. He graduated with a Bachelor’s degree in Physics and Art from the University of Delaware and received a Master of Business Administration in Finance from St. Joseph’s University.